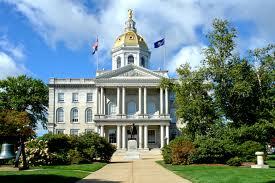 Concord, NH – Decriminalization of Marijuana in New Hampshire has come one step closer to becoming a reality. Tuesday the state Senate Judiciary Committee approved a measure that would decriminalize possession of small amounts of marijuana. Similar bills have passed the State House of Representatives but usually get shot down in the Senate. The bill would lower the penalties of those caught possessing up to three-quarters of an ounce of marijuana from a misdemeanor to a fine of up to $300 for the first three offenses. Those caught a fourth time possessing that amount or less would face the possibility of a class B misdemeanor. The bill will now go before the full Senate for a vote. If it passes a committee will be formed to join the bill with similar bill that has passed the House. Governor Chris Sununu said that he supported marijuana decriminalization during his gubernatorial campaign; so many believe that if the bill reaches his desk he will sign it into law.